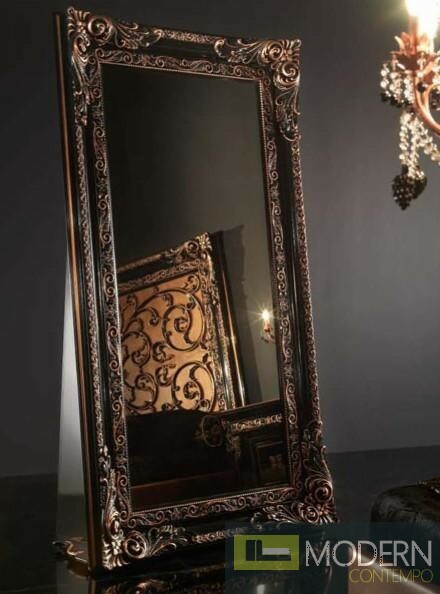 This rare piece of furniture is imported direct from Italy. 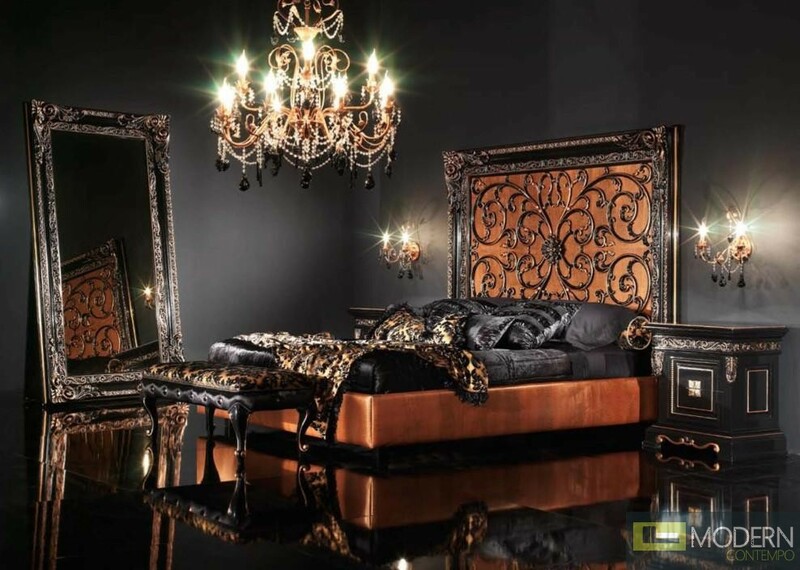 This neo-classical platform bed is absolutely beautiful. It has orange upholstery, complemented by the orange headboard. 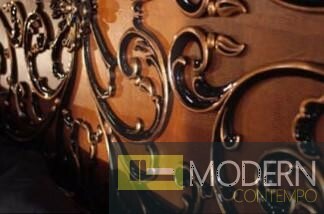 The headboard boasts intricate, ornate detailing - giving this piece a one-of-a-kind flair. 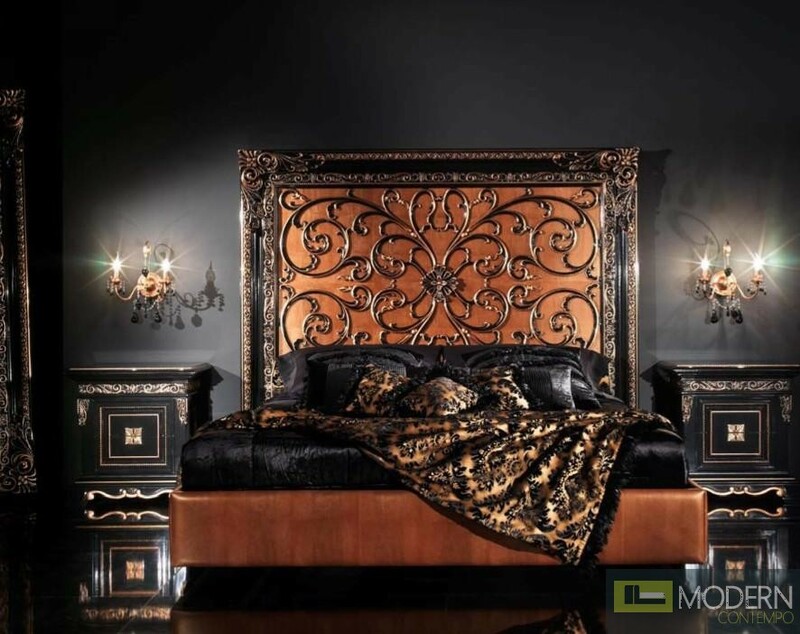 Don't miss the opportunity to make this regal bed the centerpiece of your kingly bedroom. 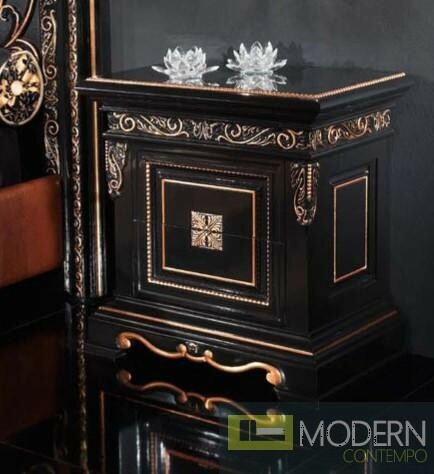 Matching pieces include a floor mirror, a beautiful, tufted bench, and nightstands. Please call for pricing. W83.9" x D82.7" x H71.7"